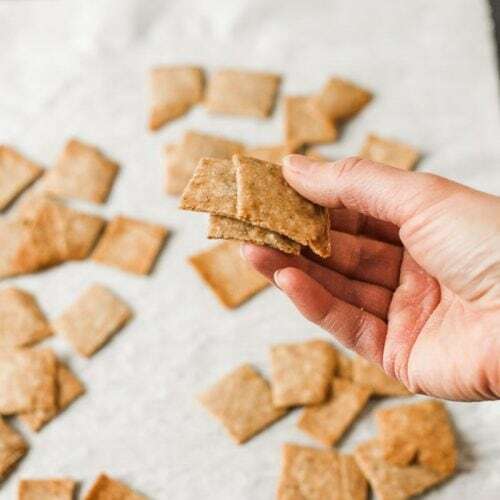 Mix up a whole grain sweet snack at home with these dairy free and gluten free Cinnamon Sugar Crackers – they’re vegan and nut free! A few weeks ago, I had an idea to create some nut-free homemade crackers for the blog made with za’atar seasoning. 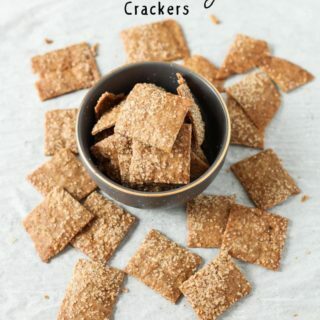 I did my batch cooking for the blog one weekend, and put together a yummy gluten free cracker base recipe, and decided to branch out and make several flavor variations, including these Cinnamon Sugar Crackers. Since I had to experiment a little with ingredients and cooking times/temps, we had crackers coming out of our ears for a few days. 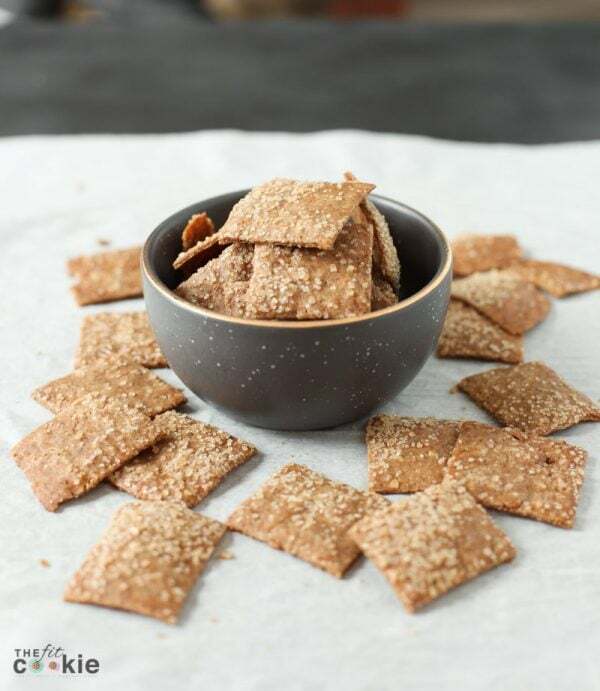 No one complained 😉 So over the next couple months, we’ll be posting a couple other great dairy free cracker recipes, including the za’atar crackers I mentioned! 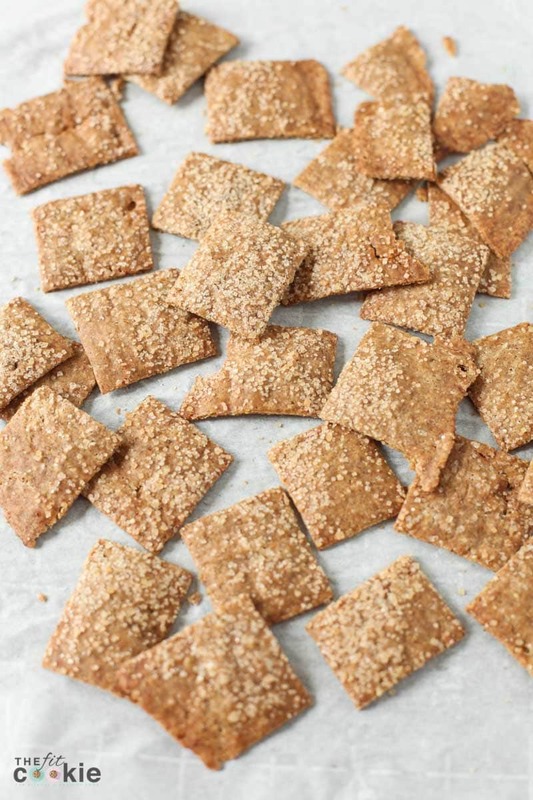 Our family loved all of the crackers we made, but especially loved these cinnamon sugar crackers because they had a bit of sweetness that tastes just right. 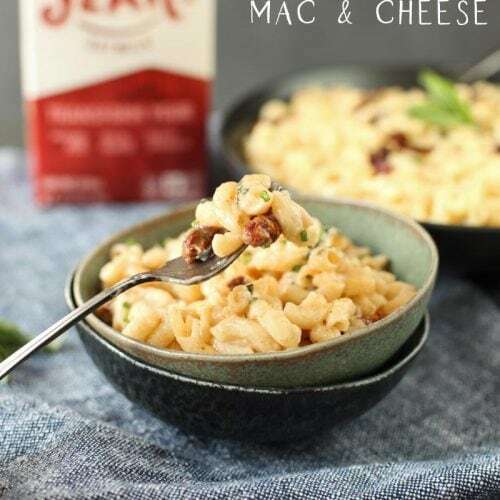 They make a great snack, they’re whole grain, and allergy friendly… and so yummy! 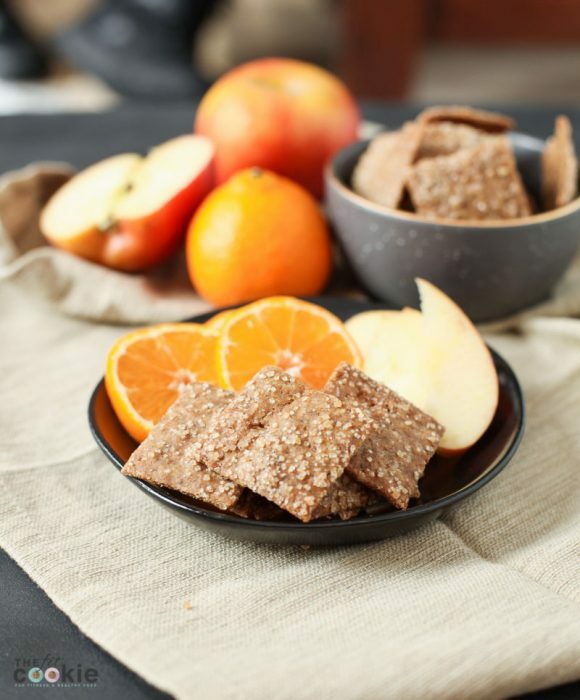 You can serve these homemade crackers as a snack or dessert with fruit or dessert hummus. Or you can serve these sweet crackers as a party snack or appetizer with chocolate fondue or all by themselves. They taste great however you decide to eat them! This recipe makes a fairly small batch, so you can double or triple this recipe to make more. If you decide to make a bigger batch, you’ll need to divide the dough into 2 or 3 portions for rolling and baking. Roll out and bake 1 potion of dough at a time to make everything easier. I haven’t made these with the baking Stevia, but the cracker recipe should work out just fine with it. 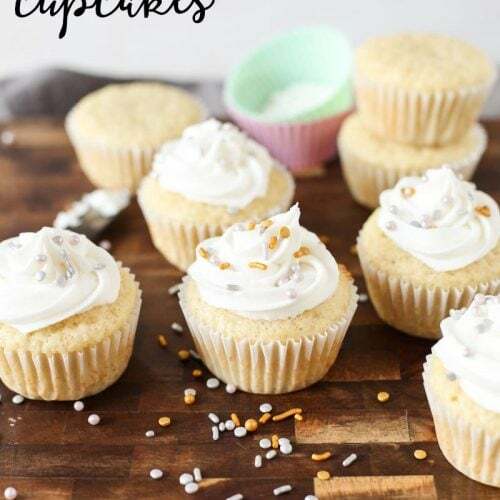 Just watch them in the oven if you use baking Stevia since it will be slightly drier than making it with regular coconut sugar (real sugar adds a bit of moisture to baked goods). When you roll out the cinnamon sugar cracker dough, make sure it’s rolled between 1/16-1/8 inch thick, but more importantly, you’ll want to make sure that the dough is rolled evenly and the crackers are cut mostly evenly. This will help to the crackers cook evenly so you don’t end up with burnt ones and undercooked ones in the same pan. 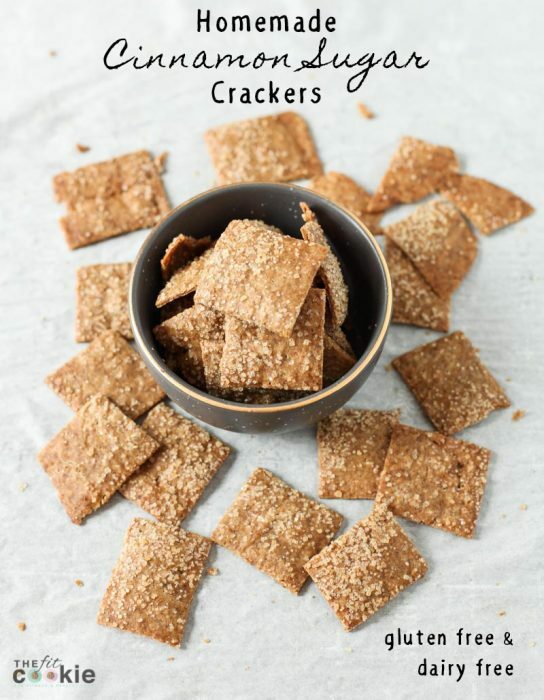 Check out our Smokehouse Almond Cracker recipe if you’re craving a savory snack! In a medium bowl, stir together the flour, flaxseed, coconut sugar, baking powder, and salt. With a fork, cut the coconut oil into the flour mixture until crumbly. Stir in the cold water until a crumbly dough forms. Press the dough together into a disc and place between 2 pieces of parchment paper. Roll out the dough until it’s about 1/16- to 1/8-inch thick. Once it’s rolled out, sprinkle evenly with the turbinado sugar. Place the rolled dough along with the bottom piece of parchment paper together onto a baking sheet. Bake for 10 minutes. Remove from the oven and cut into 1-inch pieces, separating the crackers so they can get crisp. Try to cut them as uniform as possible so the crackers can cook evenly. Return the crackers to the oven, and bake for 10 minutes more. Some of the crackers from the inside of the dough will seem soft at first, but they will get crisp as they cool. If your dough is thicker, they will need a few more minutes to cook (start with 2 minute increments). Allow to cool completely before putting in an an airtight container. Enjoy! 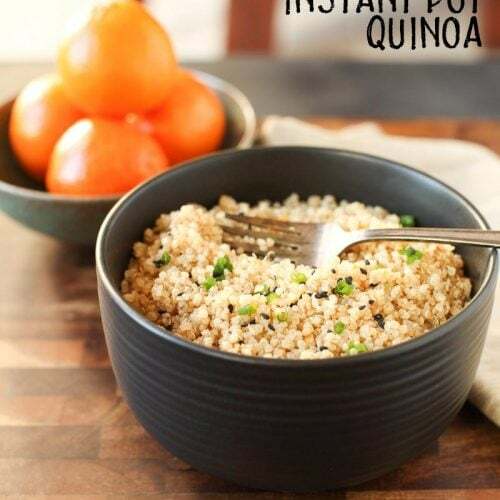 This makes a small batch, you can double or triple this recipe to make more. With bigger batches, you’ll need to divide the dough into 2 or 3 portions for rolling and baking. I just read the recipe twice and I can’t find any mention of cinnamon and I am pretty sure turbinado sugar doesn’t have cinnamon in it. Did you forget to add it to the recipe? Just wondering as I would like to make some. Thanks! Cinnamon and sugar makes me think of cinnamon and sugar apples that my Mom used to put in my lunch! 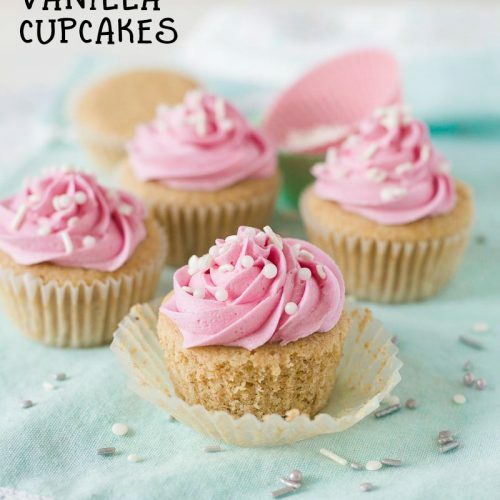 Obviously I have a tremendous fondness for the combination – I am certainly giving these a try! Yum! I love that these use coconut sugar 🙂 I’ve been wanting to experiment with it lately. What an awesome healthy snack!